(shohn - toh) - Noun; an honest, unbiased opinion. Who do you trust more? The kind friend that tells you your questionable outfit looks great, or the silent masses staring in revulsion all night? 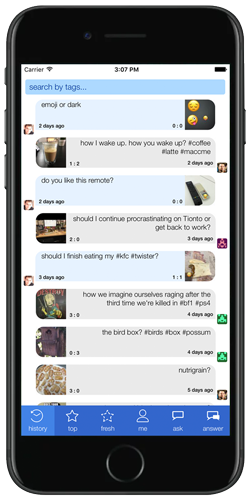 tionto lets you harness the power of the herd. Take a quick snap of anything and let the world give you it’s even-handed opinion. tionto answers your questions. 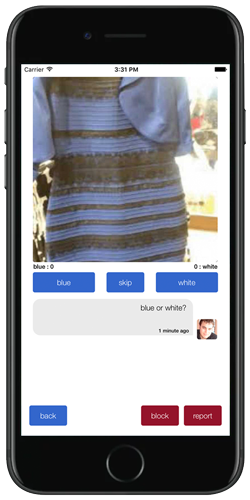 Simply upload an image, ask your question and let the world answer. 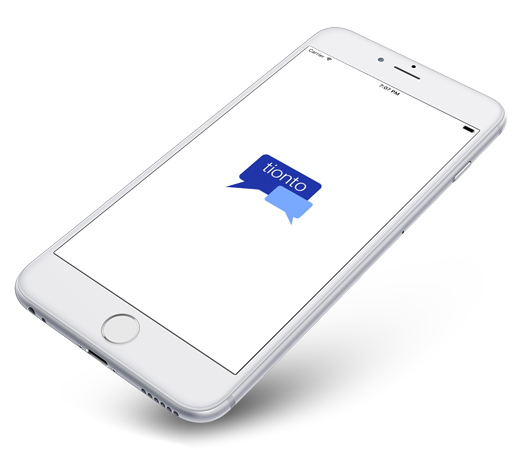 The tionto community can answer with a "yes" or "no", a "this" or "that", or any other options you give them. Difficult question? Don’t want to go viral? 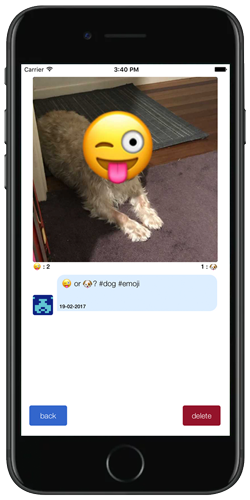 Use emoji stickers to hide anything identifying. Use hashtags to get answers quickly! What is tionto? or shon toe? or tion to? Have you ever wanted to get an honest opinion from someone but always have trouble locating someone non-bias or even available to give you that honest opinion? Friends are always too kind to give you an honest opinion and when you're shopping alone for some you time then you only have the opinion of the shop assistants who are usually more than happy to tell you their entire product catalogue would look good regardless of the truth! tionto is a place where you can take a quick snap of something and ask the world for their opinion on if that something is good, bad, agreeable or not... you can even word your question with a "this or that" and the two options available to the world to answer become "this" and "that". 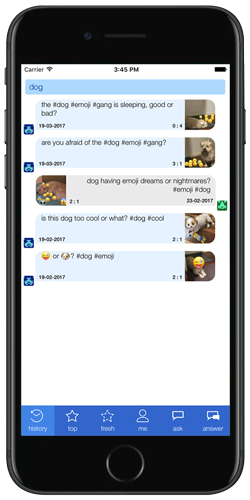 With added features like overlaying emoji stickers to hide unwanted aspects of your photos, to hash tagging so others can locate quickly. You will have fun both asking the world for its opinions as well as sharing your opinion. supports hash tagging and searching tags. fun emoji stickers for your photo. supports abuse reporting as well as a help option for email support. Bug fixes where answers are being added to the perspectives other than history. Added administration features to assist moderators. Full function on submitting ask with emoji stickers. do you like the brown or grey rabbit? so these shoes look good? anyone for some awesome yummy chips? is this #fidget spinner badass or crap? were you delayed by the #boondall #truck #fire? is my lizard comfortable under his heat lamp? sometimes it's easy to give up, but at least you tried. love or like this image? #Free #Kittens real or fake? #ForestWhitaker, do you get it? new model #FidgetSpinners, do you want one?